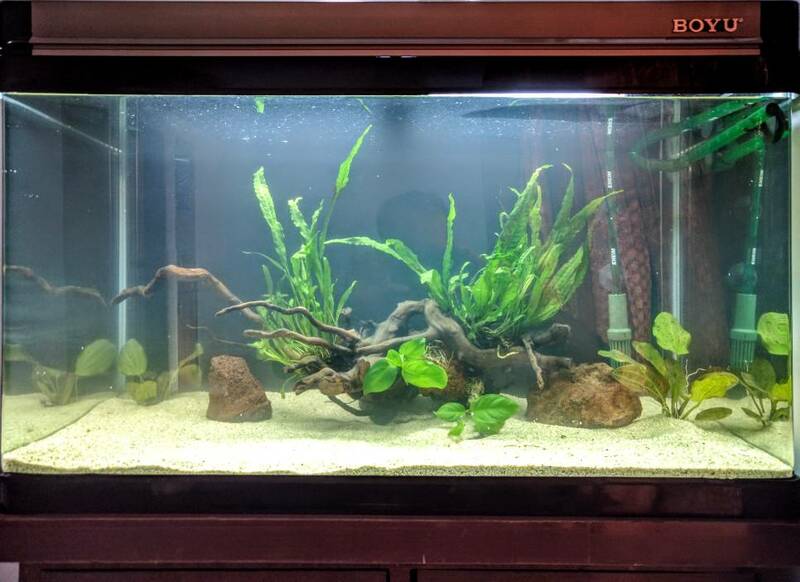 Discussion in 'Freshwater Aquarium Builds' started by suku_patel_22, Apr 12, 2017. 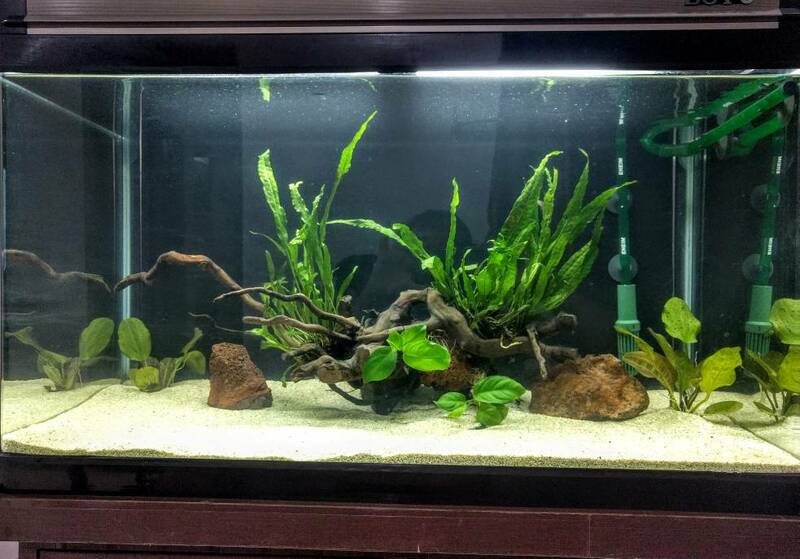 I initially started with a very small 37L tank, and had various fishes. However I always wanted a larger tank. I finally decided to upgrade my setup. Tank: Boyu EA 80. 32 x 16 x 22 inches (LxBxH). Its 148L, approx 40 gallons. Substrate: Ada La Plata 16Kg. 2 BN plecos is a lot and they would prefer cooler water to the rest of the fish you want. How about a clown pleco instead? Rams can be territorial especially if they pair so just doing 2 may be best to prevent fighting. Discus would need a bigger tank. Thanks, I'll check those fish out and let you know my views. What about dwarf gouramis? Sorry, didn't like the Kuhli loaches. I (to be read as "my wife") want some medium sized colourful fishes, that aren't gold fish. I am observing that my Java Fern is dying off. Anubias and crypt seem to be doing fine. My water temperature is around 26 to 27 degree Celsius. Is fertilizers required? If yes what? Should I add Seachem Flourish and Flourish Excel? 76-78'F would do good for this stock. No fertilizers should be needed, but is the Java Fern under another plant or something else that could block the light from it, that is the problem i had until i moved it. The bolivian rams need 76 or under. 77 and 78 would stress them out. My Bolivians are in 80'F with the BN pleco and is doing well(even trying to breed but the EBA will not let them have his rock). Sometimes you can't tell if their stressed out until they live shorter than normal. 20 Gallon Tank Second Tank.